The houses from Catal Huyuk look very much like the houses of the Pueblo Indians found in New Mexico today. One of the settlements, at Taos, more than 1,000 years old, is the ancient pueblo of a Northern Tiwa speaking Pueblo people. 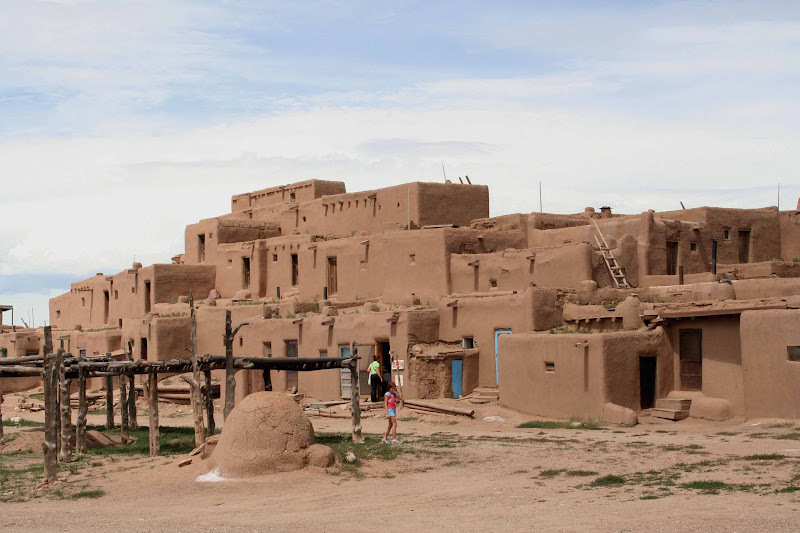 The multi-storied residential complex of reddish-brown adobe was probably built between 1000 and 1450 AD, and is considered to be the oldest continuously inhabited community in the USA. The Pueblo is made entirely of adobe - earth mixed with water and straw - then either poured into forms or made into sun-dried bricks. The walls are frequently several feet thick. The roofs of each of the five stories are supported by large timbers - vigas - hauled down from the mountain forests. Smaller pieces of wood - pine or aspen latillas - are placed side by side on top of the vigas; the whole roof is covered with packed dirt. The outside surfaces of the Pueblo are continuously maintained by re-plastering with think layers of mud. Interior walls are carefully coated with thin washes of white earth to keep them clean and bright. 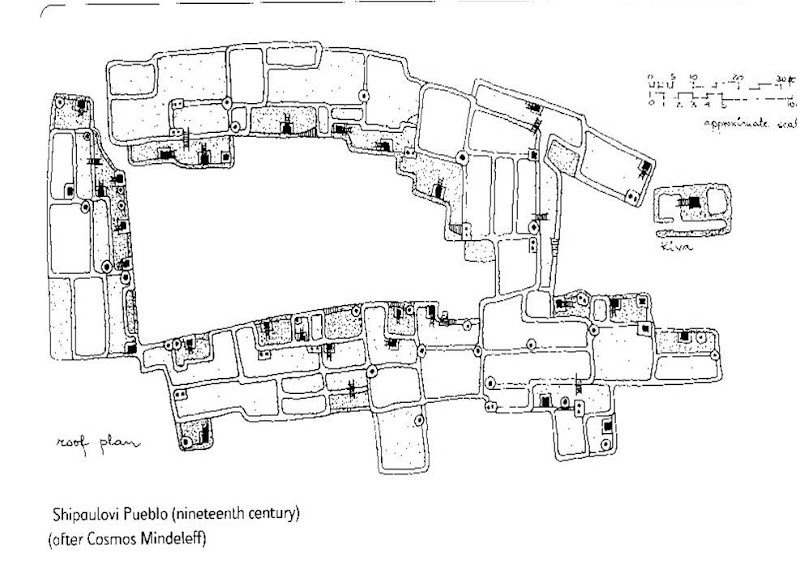 The Pueblo is actually many individual homes, built side-by-side and in layers, with common walls but no connecting doorways. In earlier days there were no doors or windows and entry was gained only from the top. Again much like the houses of Catal Huyuk. If they had the same entrance from above as the Catal Huyuk.. Then when did they move to door on the wall? Why did they have a door on the roof? Was it for safety? Seems unsafe! Seems like an unsanitary system! Do these type of homes have running water? How can Honeycomb Housing make housing more affordable? Why it's hard to make High-Rise affordable?